Congratulations to CQHA Director Patti Carter-Pratt, formerly of St. George, ON who was recently appointed the American Quarter Horse Association‘s Executive Director of Shows. Patti and her husband Doug, moved to Amarillo, Texas in January, 2011 so that she could take up her new responsibilities. Now that she’s on the AQHA staff, Patti was highly visible at the 2011 AQHA Convention leading meetings to introduce the AQHA’s new show leveling initiative. 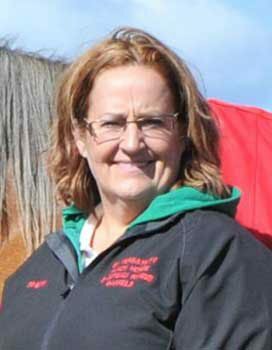 Prior to her AQHA appointment, Patti was a horse trainer, accredited judge with AQHA and numerous other horse organizations, youth and amateur coach, international competitor, Chair of the AQHA Professional Horseman’s Committee and elected by her peers as AQHA’s Professional Horseman of the Year.Patti served as coach to Team Canada at the 2000 and 2002 AQHA Youth World Cups and she chaired the highly successful 2008 AQHA Youth World Cup held in London, ON.Patti served the Ontario AQHA affiliate for many years. We consider ourselves very fortunate that Patti has agreed to remain a valued member of the CQHA Board of Directors, representing AQHA. Kathy is a life member of AQHA and started riding Quarter Horses as a young girl sorting cattle on the family farm. That led to raising horses, going with her father to shows and eventually to a full time career in the industry. Through the years, as an AQHA Professional Horseman she has been involved in breeding, training, showing and coaching both recreational and competitive riders. She has been a judge and clinician at 4-H, saddle club, and open horse shows in Ontario. Currently Kathy and her husband Dan own and operate Twin bells Ranch in Bornholm, Ontario. Their facility offers boarding, lessons, training and also hosts equine summer camps with the YMCA and instruction to students with disabilities. Kathy was elected to fill the Ontario vacancy created by the appointment of Patti Carter-Pratt to AQHA Staff. Larry grew up on a ranch in southeast Saskatchewan where he competed in rodeos on weekends and worked PFRA pastures during the week. Along with his wife Lenora, Larry owns and operates 2LJ Oxbow Ranch a few miles east of Brandon, Manitoba near the Canadian Forces Base at Shilo. They have a small band of American Quarter Horses from which they raise and train quality horses for working cow horse events. Numerous rodeos, working cow horse events and trail rides have been hosted at 2LJ Oxbow Ranch. Larry graduated in 1972 in Commercial Art, but switched to the optical industry in 1975. Clifford, now an optician, owns Scotia Optical in Brandon, which has generously sponsored many, many horse events over the years. 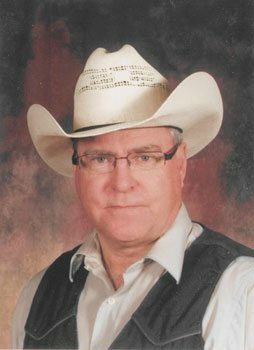 Larry has served numerous terms as president and vice president, and is currently serving as vice president of the Manitoba Quarter Horse Association. He has been the show manager for MQHA sponsored AQHA approved shows for at least 15 years. He was instrumental in introducing and coordinating the first AQHA Versatility Ranch Horse Competition held in Canada, and continues to manage this show into its fifth consecutive year in 2011. Larry was elected to fill the Manitoba vacancy created when Marnie Somers, Carberry, MB elevated to AQHA Director-At-Large. Sherry has been an SQHA member since 1979 and a life member of AQHA since 2001. 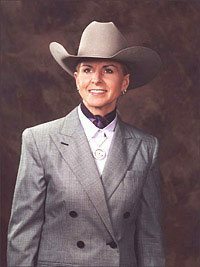 She served her AQHA affiliate for 8 years and as president for 3 years. One of her accomplishments over the 8 years was bringing in approximately $40,000 in sponsorship and fund raising efforts.She was instrumental in managing the first AQHA Versatility Ranch Horse Competition in Saskatchewan, securing a sponsorship for a trailer lease which is still being presented now three years later.As chair of the Golden Mile Versatility Ranch Horse event, a Barrel Racing Futurity and Derby was added to the event, which included an AQHA special event barrel race, not offered in her province for many years prior to this.When Sherry was SQHA President, she encouraged and participated in the only AQHA Trail ride held in Saskatchewan in years. Sherry has served on the steering committee of the Region 2 Championship show since 2006. 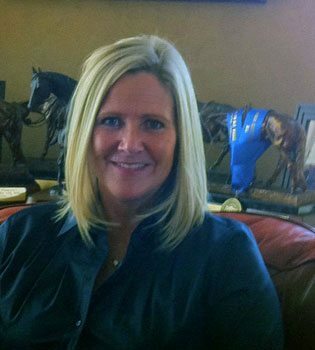 Sherry owns and operates Sherry Clemens Show Horses, a training and breeding facility. For over 30 years, she has bred a small band of broodmares to World and Congress Champion stallions. She has been a horse trainer, coach of youth and amateurs, and an ardent AQHA exhibitor during her long career in the Quarter Horse industry. 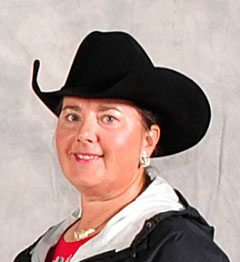 Sherry was elected to fill the Saskatchewan vacancy when Glen Gabel, Regina, SK elevated to AQHA Director-at-Large. For more than 35 years, Wayne has been an equine veterinarian with a very busy practice (Burwash Equine Services Ltd.) He is highly committed to the betterment of the horse industry in general and is frequently called upon by International Equestrian Federation (FEI) to serve as an international veterinarian at events around the world (most recently at the 2010 World Equestrian Games). Wayne has also served AQHA previously on its medications task force. In addition Wayne has been very active with his provincial veterinary association (ABVMA) chairing several committees and was named a recipient of their Practitioner of the Year Award, and received a Communications Award. 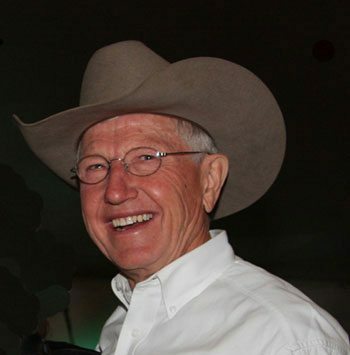 Wayne is a founding member and director for 30 years of the Alberta Quarter Horse Breeders Group (4 terms as Chairman). He is a founding member, director and past Chairman of the WCAEP; ABVMA Equine Practice Committee member (4 years as Chairman); a member of the Olds College Advisory Board (3 years as Chairman); and is president of FEI Vet Commission at Spruce Meadows. In his spare time, Wayne serves as chef d’equipe for his wife Shannon, who competes at AQHA national and international levels, (and he’s been known to enter the occasional halter class). Kate has been a volunteer with the Calgary Exhibition & Stampede for 18 years with the Queens’ Alumni (1992 Stampede Princess). The alumni are community leaders committed to providing opportunities and western experiences that enrich the lives of special needs children and one another. Kate volunteered on the Alumni Gala Committee for 10 years (two years as Chairwoman) together raising over 1.2 million dollars to benefit children with special needs and their families. Kate is an accomplished AQHA exhibitor earning numerous championships at Canadian National Quarter Horse shows between 2007 and 2010. Kate and her husband Brent, live in Calgary. Kate serves on the Quarter Horse Association of Alberta Board of Directors, currently as Vice Chairman. Wayne and Kate were elected to fill the two Alberta vacancies created when Joanne Perlich, Lethbridge, AB elevated to AQHA Director Emeritus, and Sheldon Soderberg, Red Deer, AB elevated to AQHA Director-At-Large. All five of the newly elected AQHA Directors have been invited by the CQHA to join the Board of Directors of the Canadian Quarter Horse Association. For two comprehensive reports on the activities of 2011 AQHA Convention, prepared by CQHA Directors Gayle Pawley-Wilson and Haidee Landry, please visit the CQHA website. Canadians have every right to be very proud of all their representatives at AQHA. They are an outstanding group of individuals who have made and will continue to make a significant contribution to the Quarter Horse industry around the world.